Based in Leicester, the studio of Alloneword is an ideas driven and creatively led design practice by husband and wife duo Erica and Jon Dodd. Formerly Creative Director at the award winning creative agency Un.titled, Our Design Partner Jon Dodd has a passion for making digital systems that work for organisations and users alike. With a spread of experience, he’s worked as the UX Lead for a government software company and designer for music and sports magazines, as well as agencies and studios. Having trained in the performing arts, our Operations Partner Erica Dodd moved into the public sector, working for large healthcare and educational institutions. After joining the business in 2018, she is responsible for all areas of studio operations and process, working with clients to ensure projects are delivered on time and perform above expectation. 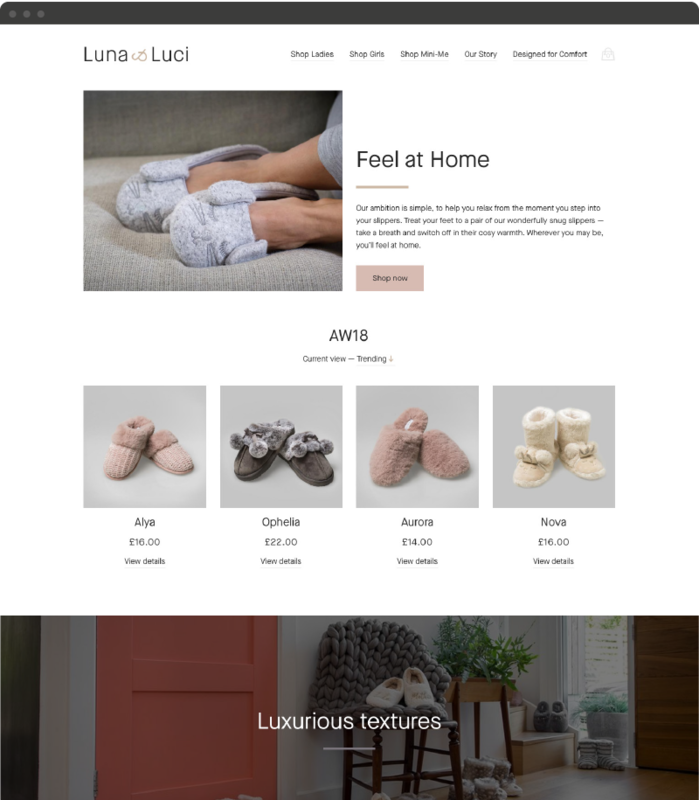 Luna & Luci is a new venture from an established footwear design company, who supply large chain brands such as Debenhams and John Lewis with products.Once the branding work had been undertaken by Alloneword, the Shopify website was created, employing all the new brand aesthetic and values. The focus was on pace of reading, interactions and simplicity, with extensive critical thinking around personas and journeys. Following on from a successful rebrand by Alloneword, Precise UK commissioned a design and build of their site onto the WordPress platform. Keeping in mind the experienced and adaptable approach to their services, the new site was designed with building owners and facilities managers as a focus, with special consideration made for interaction and animation. 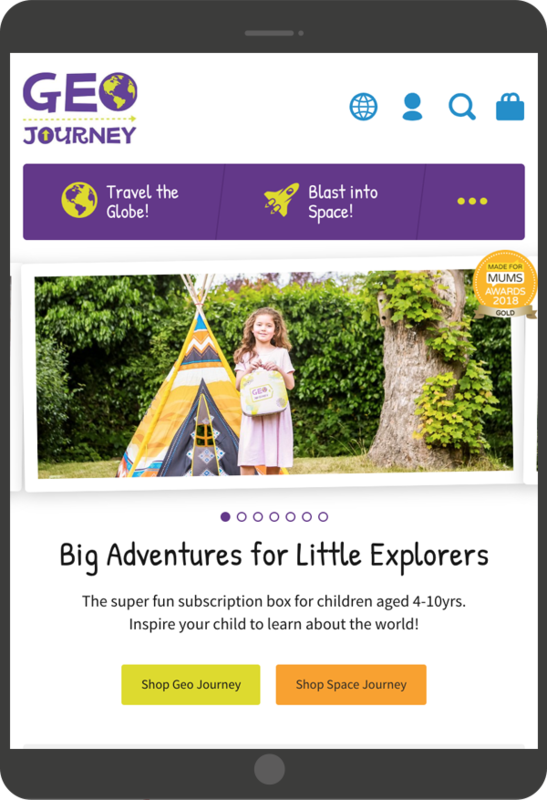 Existing client Geo Journey wanted to take their current site and completely reimagine from the ground up, with special consideration to the unique purchase journey of their subscription based products. Alloneword utilised a variety of technical hooks, integrations and bespoke custom development to create a custom Shopify store which perfectly wraps around their brand and product offerings. Alloneword is an official Shopify Partner and has also been certified as a Shopify Expert. Alloneword offers a range of design and development services within digital, print and branding. Prices available on request. Working independently or within an existing team, assisting in user scenarios, data analysis, project goals and conversion rates. From brand identity to high fidelity website mockups, a range of visual design services is readily available. If you’re struggling to solve a problem, or can’t even identify where you’re going wrong, work with Alloneword on your digital strategy. Morally and financially it makes no sense to exclude customers. Conduct an audit to see if you’re failing. Design without content is decoration. Start with the basics; tone of voice, consistency and architecture. From Wordpress to Shopify, best practice and lean development can be offered for your web projects.